I hope you got excited about the new Vivid Canvas by Patty Young for Riley Blake when we announced it! 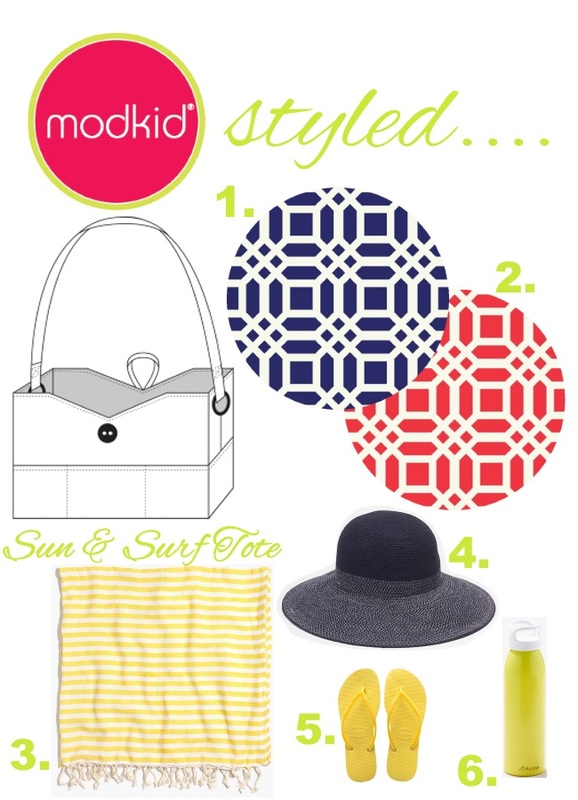 Canvas is absolutely perfect for sewing up totes, so we thought we'd bring you a little beachy, nautical style with the Modkid Sun & Surf tote. The pattern is available in both PDF form and paper. Plus, we have a handy sew-along to reference on the blog.